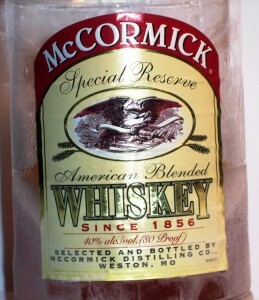 I prefer to use McCormick whiskey to most of my barbeque recipes. I find the whiskey complements the taste of beef cube steak. There is no reason to waste expensive whiskey when making barbque sauce. Most stores will sell McCormick’s for about $13 for a 1.75ltr. Also, if you are going to mix yourself a drink with coke, you may as well use this.